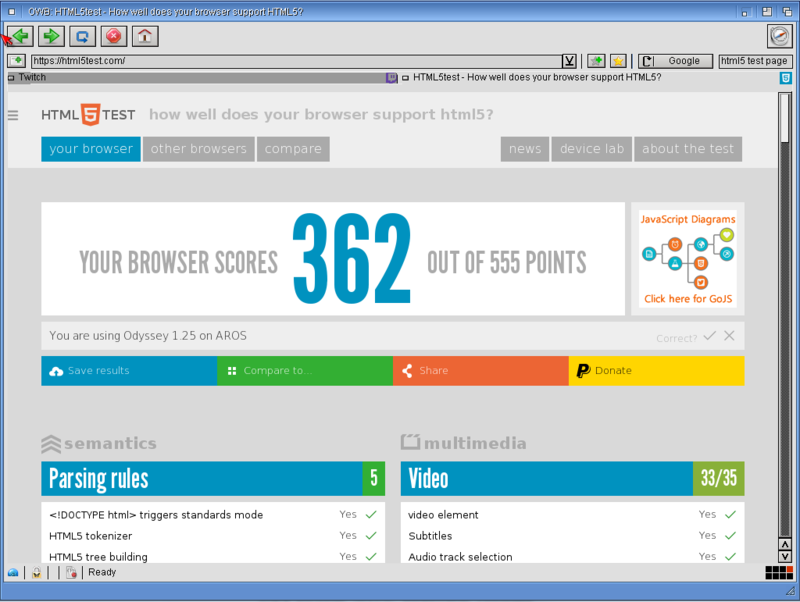 So, it appears that AROS has taken the lead when it come to web browser technologies. 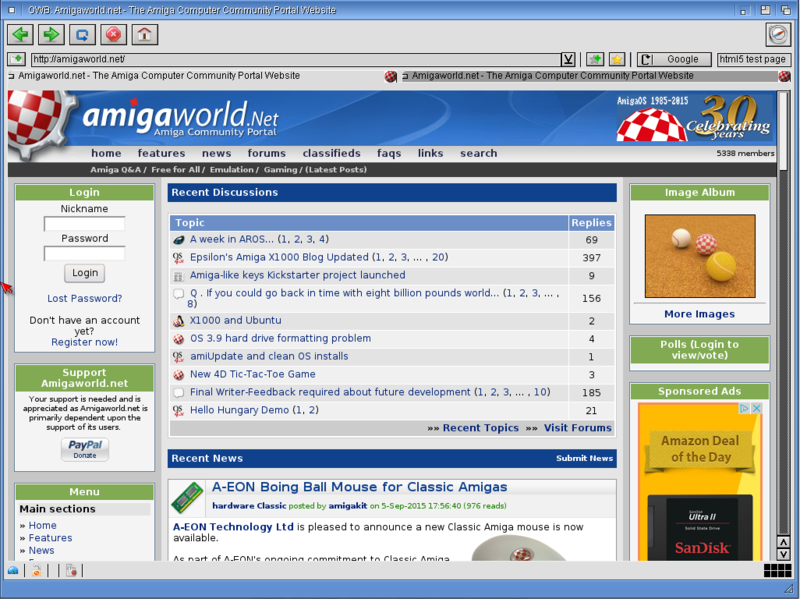 A developer named deadwood announced at the beginning of September 2015 that he’d completed over a year’s worth of work to get the Origyn web browser updated with a very new version of webkit (from May 2015). This currently puts it at over a year ahead of MorphOS and AmigaOS4.1. I thought it would be good time to dip my toe into the AROS waters again to try this out. I haven’t tried AROS in a while. There are a few distros but I’ve really liked Icaros Desktop, as it seems to make things easy as possible for newbies. Also, this browser needs to patch the AROS system and I believe Icaros 2.0.3 was the one specifically mentioned. So, I downloaded the 2.0.3 version of Icaros (the latest) and off I went to install. This isn’t a review of Icaros (I may do that in the future though, as I liked it). Install was among the easiest of any Nextgen system. 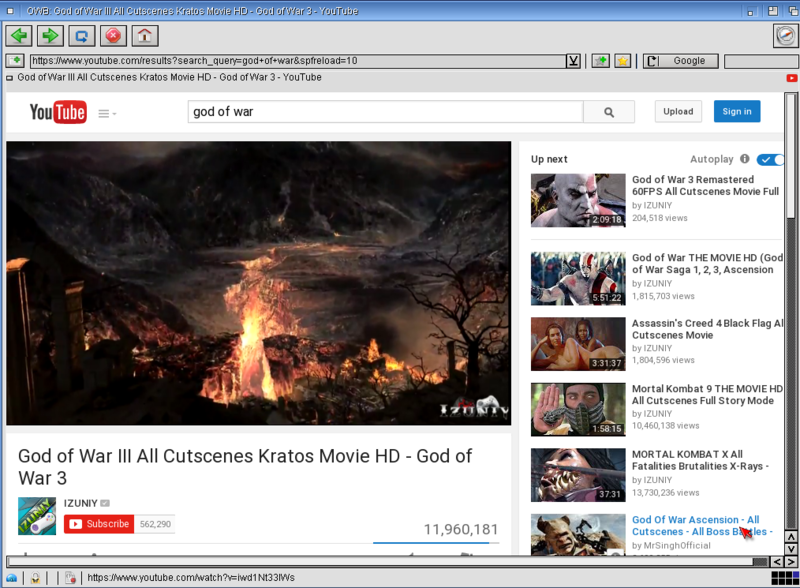 I didn’t have a dedicated system so I set up a VMWare Player session, with a 2GB RAM and single core cpu. The host machine was an i7 4790k system, so it should be fast. Checking the announcement, you’ll see that we must FIRST install a kernel patch to AROS, using –> this file Then, after a reboot, grab the main archive <– can be extracted somewhere. I then launched OWB and, like other versions, it took a few minutes the first time to initialize fonts (this didn’t happen afterwards, usually, startup is VERY fast). I tried a variety of pages. Facebook, Gmail and twitter was working just fine. I noticed 8 connection lights in the lower right that would fill and empty several times. I’m wondering if the browser is limited to just 8 simultaneous connections like some old Amiga browsers (like IBrowse I think). Browsing speed was good but there seemed to be some pages where many things queued up to download, so overall, browsing wasn’t quite native Host pc speed but still very good. Playback worked well. There was a tiny stuttering at the start but it got smooth quickly. I tried Twitch.tv as well, as I’d heard that HTML5 was coming to Twitch but it just told me that I needed a plugin from Adobe. Not going to happen on Amiga systems right now. I also tried some pages that had the type of “zoom in picture overlay” (you know, click a thumnail and the image zooms to the center of the screen and enlarges, dimming the rest of the page). I’d had trouble with this with other amiga browsers in the past. The 2015 webkit handled it perfectly. Overall, I’m very happy with this update. I hope it proliferates to the other NextGen Amiga systems. I did some other testing with increasingly lower-memory settings in the VMWare Player (all the way down to 512 MB). I wouldn’t try it with less though. As usual, more memory is better. I plan to install AROS on real hardware soon and give a real review. For now, I’m very impressed.